Looks like a lot, right? And it certainly is. As a marketer, it is tough to know where to start. What type of technologies do I need to run my business? And then out of those categories, whom should I select? Luckily, this year at Marketo’s Marketing Nation Summit, our Expo Hall has a huge selection of these technology categories and vendors. Take some time between sessions and be sure to walk around to check out the best of the best in each category. And be sure to sign up for our Free Expo Hall and Keynote Pass to so you can check everything out first hand. But before you do, take a look at some of our recommended marketing technology categories that you should consider for your business. OK, so maybe I am putting this at number one because I am a content marketer and love content, but, having a streamlined way to create, organize, and track your content is critical for today’s modern business. I know first hand how difficult it can be to project manage your content marketing. Luckily, today’s vendors can help you manage the content marketing process from end-to-end. This is especially critical as you grow as an organization, have more internal and external writers, and are looking to collaborate outside of email and spreadsheets. Be sure to check out vendors like Kapost and Newscred. Dirty data can be a huge problem for your marketing effectiveness. If you don’t have clean data you might be sending people the wrong email campaigns, sending duplicate emails, and tracking skewed metrics. A clean database can help you properly segment, target, and track your programs. While cleaning up your data and de-duping your database can be a tedious task if you do it manually, there are many products, like Ringlead, that can help analyze, clean, and protect to your data to ensure you are sending out the most optimized campaigns. While we are on the topic of data, we can always use more data to enrich and append our existing data. Consider using a data application, such as the one offered by Dun and Bradstreet Direct. A data enrichment tool integrates with your marketing automation and CRM systems so you can get all of the right data that you need to find new prospects and market to them. Plus, you can append the data you already have. Many of these data platforms have their own databases filled with upwards of 200 million companies—so happy marketing! Social marketing is an integral part of any marketing strategy. And it is getting even more complex as companies try and streamline their efforts, distribute highly targeted messages, and integrate social into each and every campaign. There are numerous social media management platforms, like Hootsuite or Sprinklr, that help companies organize their social efforts. These platforms become a command center and enable the social marketer to stay connected and create relationships with followers on all social channels from one single interface. An event, just like The Marketing Nation Summit, takes a ton of coordination and effort—particularly when it comes to managing attendees and registration. Plus, you need to think about how your event management platform integrates with marketing automation so you can record attendee data to create segmented campaigns. Using event management platforms, like Cvent and Certain, help you to manage agendas and sessions, registrants, onsite event management, and session feedback surveys. Every marketer needs to stay on top of the competition. This is particularly critical when it comes to content creation and social media. As a marketer, and as a content marketer, you need to know what type of content your competitors are creating and how each piece of content is performing on social channels and ads. This type of insight and analytics helps you to benchmark your success. Plus, you can determine what your network is talking about and sharing—which is a real advantage when it comes to creating sticky content. Applications like TrackMaven easily help you keep on top of this data so you can optimize your content. Everyone wants to convert leads. And everyone wants to convert only the best leads. But that’s a tough call—how do you know what leads are even going to convert? 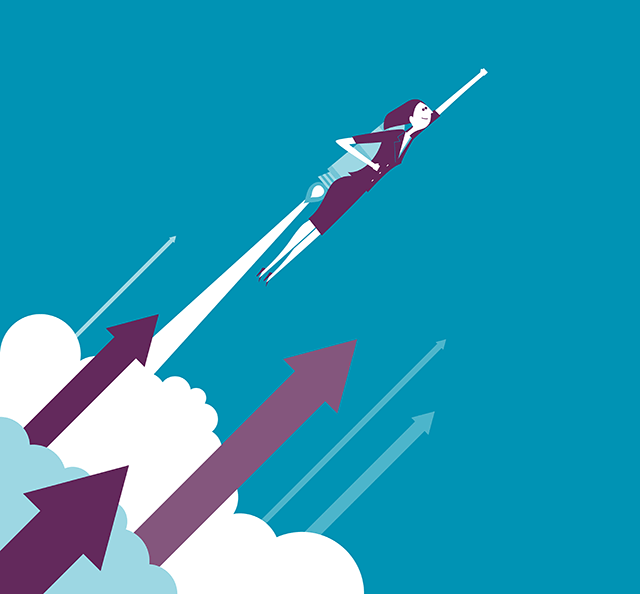 Predictive Marketing is a huge game-changer in the marketing technology space. Predictive lead scoring applications like Fliptop, Infer, and Lattice, use data from your marketing automation or CRM platform to predict which leads are most likely to convert, so you can send the best leads to sales. I know, a lot to think about! And that is just the tip of the iceberg. 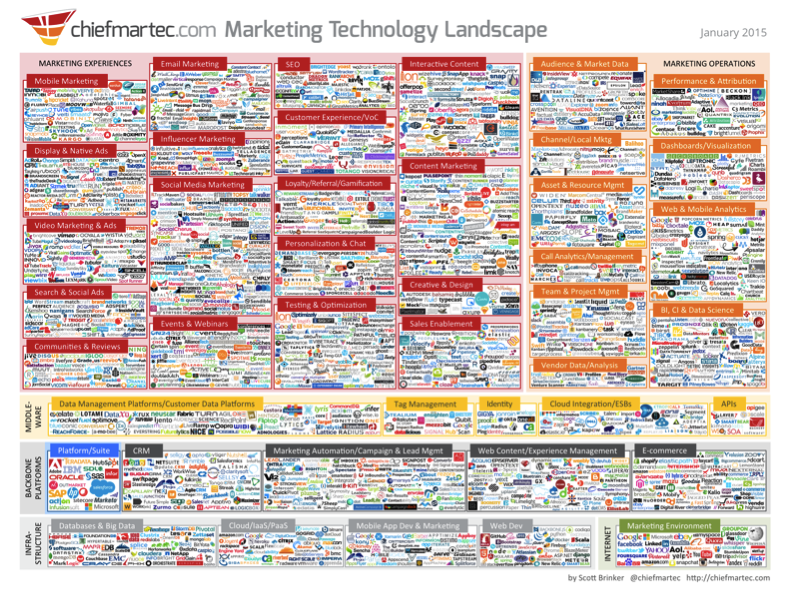 There are so many more marketing technology categories and vendors to choose from. Luckily, our expo hall at The Marketing Nation Summit can help! Be sure to sign up for your free Expo Hall and Keynote Pass. The post Explosive Growth in Marketing Tech: 7 Categories to Implement Now appeared first on Marketo Marketing Blog – Best Practices and Thought Leadership.